Almost a hundred years ago in Naruto, Tokushima Pref., Beethoven’s Symphony No.9 was played for the first time in Asia. For the 100th anniversary of playing the symphony, the memorial concert, continuing from 2016, was held in Tokushima. As the direction of this event, 2,000 people will gather and chorus No.9. 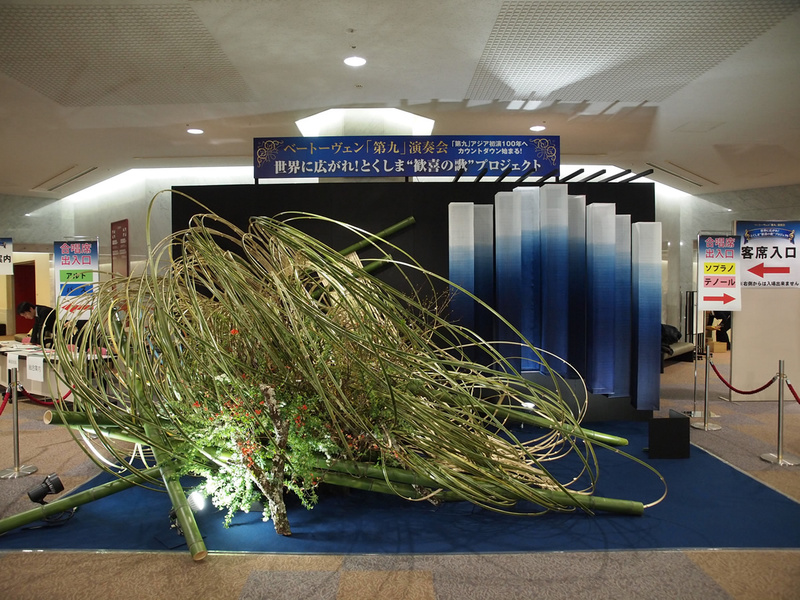 An the entrance hall of Asty Tokushima in Tokushima city, ISSO’s artwork dyed with Awa Ai is displayed. This work is a collaboration with Mr. Hakusetsu Ohara of the Ikebana Sogetsu, Tokushima branch. The torrent of energy-full blue bamboos that are imaged the Naruto whirlpools. I feel passionate, coming from the openness of delight, through the bold use of bamboos and lighted flowers with trees. Static indigo’ blue against movement. The difference of artwork elevation expresses the nine notes of famous phrases of chorus part in No.9. 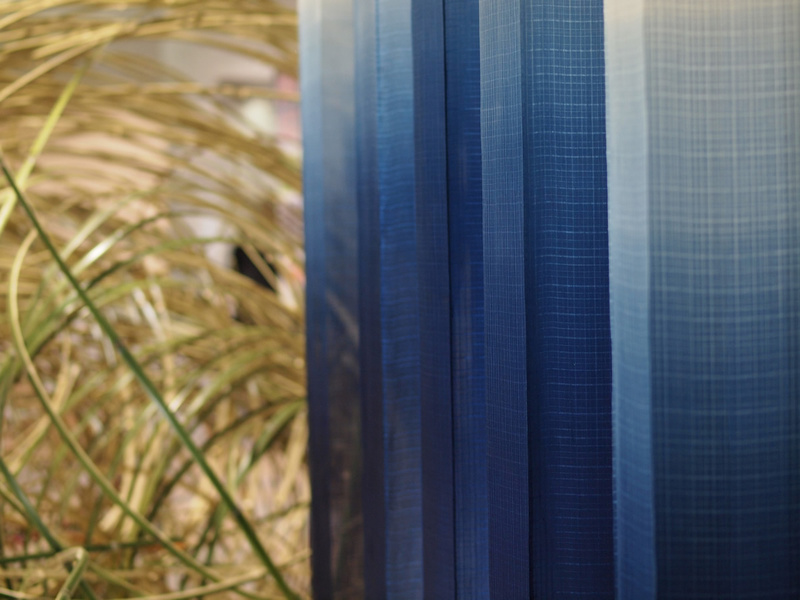 The color of blue as notes on score could be compared to the white color of silk, carefully woven by master weaver of Kiryu in Gunma Pref. Iron frames for the art was made by Kawaguchi Iron Works in Komatsushima, Tokushima, and the fabrics were sewn by Keiko Takeuchi, precisely sewing inside one millimeter.